A dog with a stick. A stick is a long, thin piece of wood. 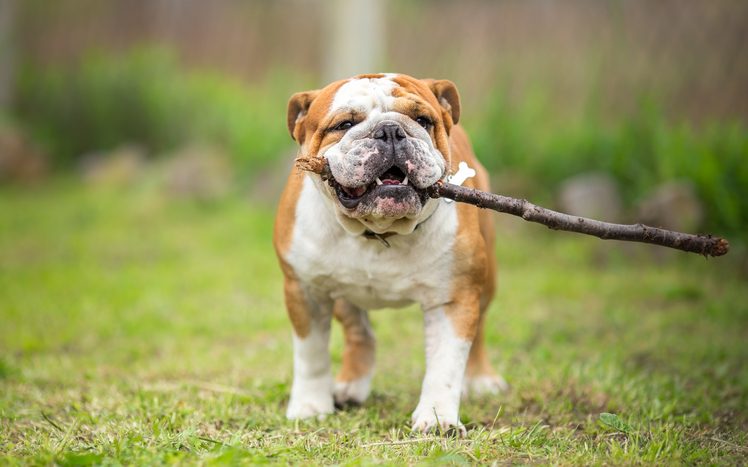 Dogs love playing with sticks. If you stick something to something, it means that you use glue (or something similar) to connect two things together. She stuck the picture to the wall with tape. If something sticks to you, it means that it is on you, and it doesn’t fall off. The gum stuck to the bottom of my shoe. If something is stuck, it means that you can’t move it from somewhere. My car is stuck in the snow. Simon’s Cat is a series of short cartoons about a cat. In this video, the cat finds some tape and it sticks to him. First it’s on his leg, then his mouth, then his ear. In the end, does the tape fall off? There are other meanings of stick.